Ciudad Juarez . Mexico. 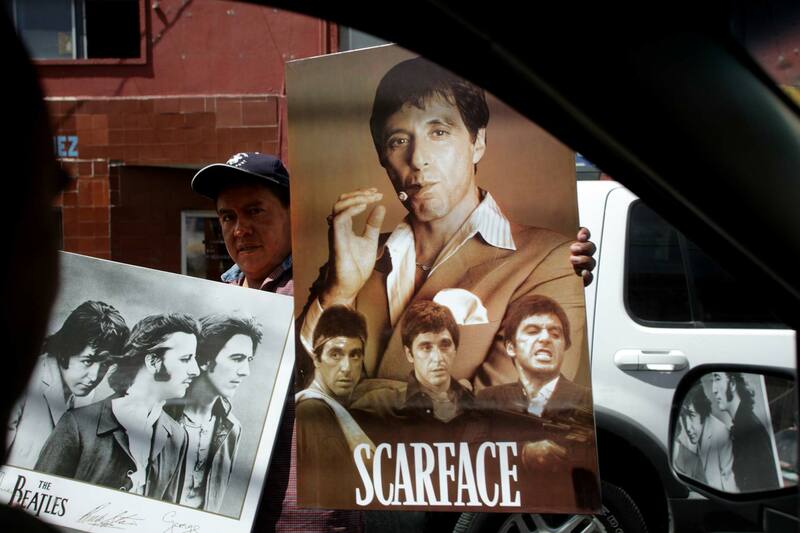 May 2008 A hawker at a traffic light selling posters in downtown Ciudad Juarez.